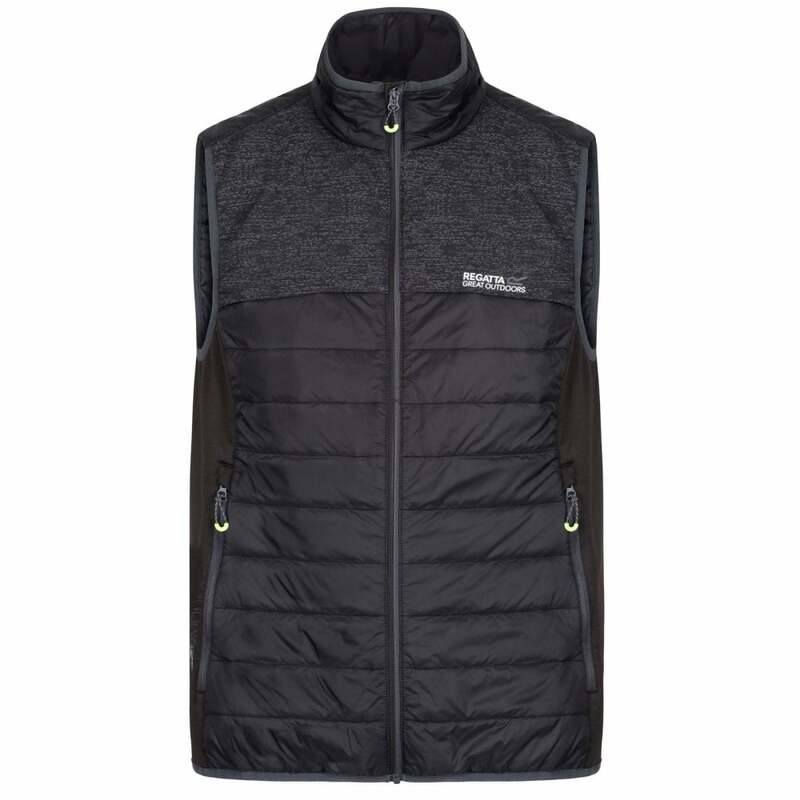 The Regatta Mens Halton II Hybrid Bodywarmer is a stretch reflective bodywarmer ideal for year round use as it can be worn when the summer night gets a chill in the air or as part of a layering system in the colder months. Alpaca insulation will keep you warm even when its wet, with the alpaca wool blend insulating down to sub zero temperatures. Alpaca insulation is comfortable, breathable and highly packable, keeping the product lightweight and warm without the bulk. Alpaca insulation is also hypoallergenic. Extol Stretch fabric provides a greater range of movement during high energy activities. The Extol fabric is quick drying and features a durable water repellent finish. The lightweight design makes it an ideal choice when needing to travel light, being highly packable and taking up less room in your bag.